Salt’n Pepper Restaurant in Liberty is among the most visited restaurants of Lahore, with a daily turnout of almost 25,00 customers. Initially the seating capacity of Salt’ n Pepper Liberty was of 90 to 100 with the covered area of 1800 sqft As the turnover of the people increased, the management of Foodconsults (Pvt) Ltd decided the expansion of the branch. Now Salt’ n Pepper Liberty restaurant caters 350 plus seating capacity with elegantly design three halls to fulfill the requirement of the growing number of customers. This restaurant is surrounded with shopping activities of the famous Liberty market throughout the day and well into the night. The Salt’n Pepper Liberty specialized in serving Pakistani, Continental Chinese, and Thai food etc, besides the wide verity of Fast Food including the Burgers, Sandwiches, Steaks. Salt n Pepper Mall Road Salt’n Pepper Mall was established in 1983 on the Mall road in Lahore. Regarded as the mother branch of the Salt’n Pepper family, the Salt’n Pepper Mall is located in the Education and Business HUB of the City. 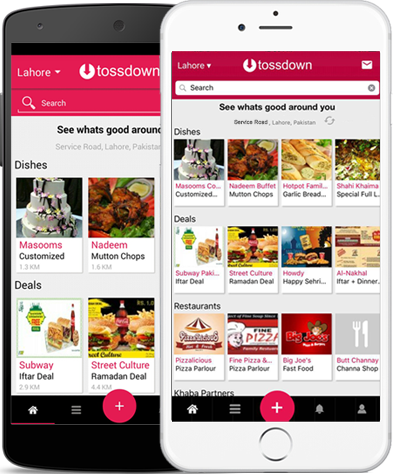 The idea was to inculcate the fast food concept to the people of Lahore, which became an immediate success. At the beginning, it had only one main seating hall catering a capacity of 50. Increasing popularity, turnover of people and with the completion of 30 years of excellence the Salt’n Pepper Mall branch turned a new leaf in style, service and quality food. The new look of Mall branch has a fresh perspective of food and special attention for its distinguished customers. The seating area is now increased to 110 with a total branch covered area of 3000 sqft . A much elaborated interior, specious seating and special emphasis on proper lightening of newly designed three halls. This branch specializes in serving Pakistani, Continental, Fast Food and Chinese Cuisine. The specialties primarily include a wide verity of Chicken items including Stuffed Chicken Breast, Chicken Stakes, Boneless Chicken Handi, Chicken Seekh Kabab etc. Car serving is another important feature of this eating place. One of Pakistan’s oldest and most well-known food franchise, Salt n Pepper restaurants are famous for their economical contemporary cuisine and outstanding customer service. Established in 1983 by Mahmood Akbar, Salt’n Pepper restaurants are one of the most go to restaurants in major cities of Pakistan.